September 11, 2017 – NASA’s Cassini spacecraft is headed toward its September 15 plunge into Saturn, following a final, distant flyby of the planet’s giant moon Titan. The spacecraft made its closest approach to Titan today at 1:04 p.m. MDT (3:04 p.m. EDT), at an altitude of 73,974 miles (119,049 kilometers) above the moon’s surface. The spacecraft is scheduled to make contact with Earth on September 12 at about 7:19 p.m. MDT (9:19 p.m. EDT). Images and other science data taken during the encounter are expected to begin streaming to Earth soon after. 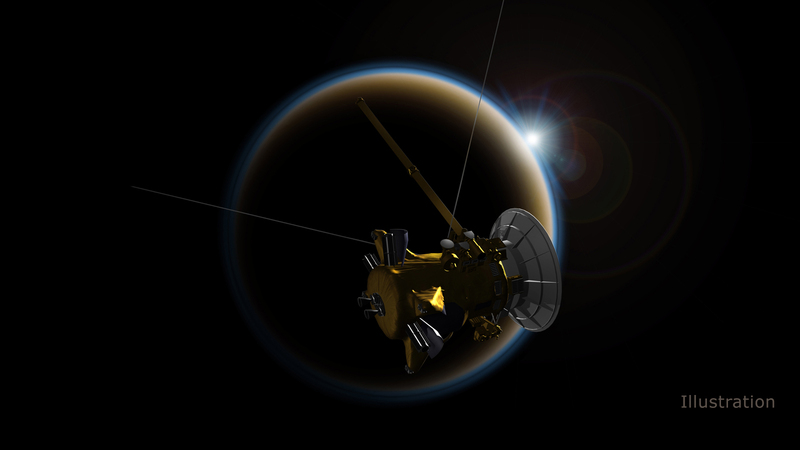 Navigators will analyze the spacecraft’s trajectory following this downlink to confirm that Cassini is precisely on course to dive into Saturn at the planned time, location and altitude.